I love architectural contrast. Since Debra has decreed at least two “pretty” pics per post, I’ll use some of that contrast for the first one. 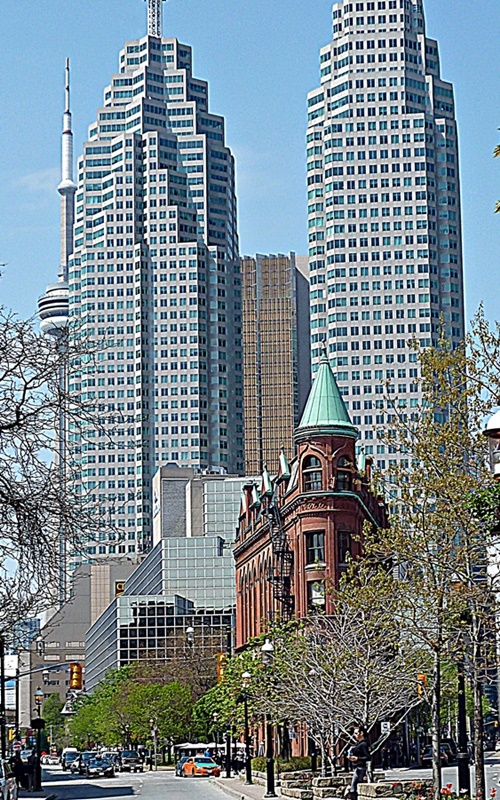 This shot is – obviously, because of the iconic CN Tower on the left – in Toronto, taken from the the St. Lawrence Market area looking back downtown. 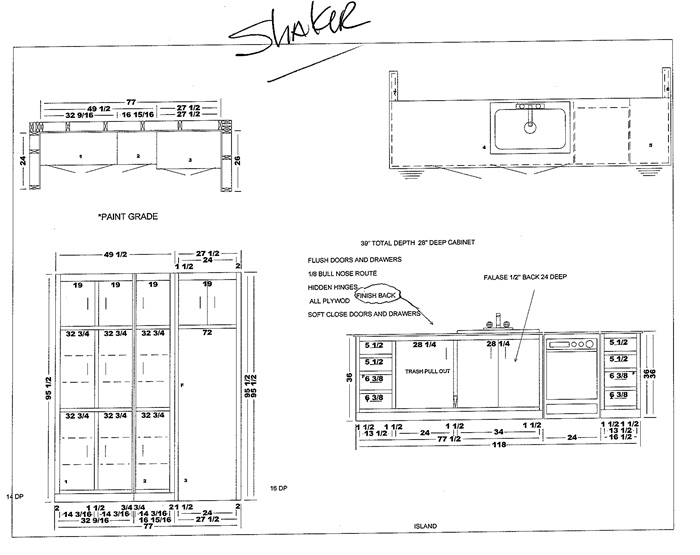 This is the electrical plan sheet for the new laundry room and powder. 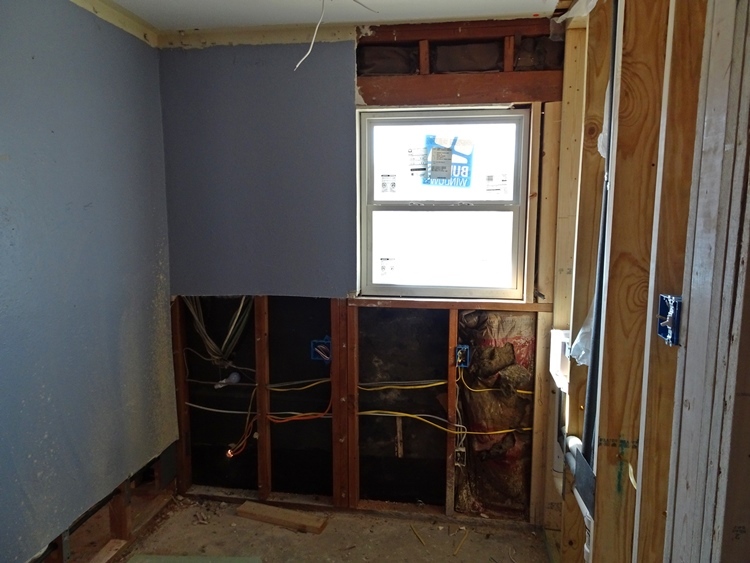 At the top, you can see the designations for the new windows – the one in the bath completely new. Well, they’re in. 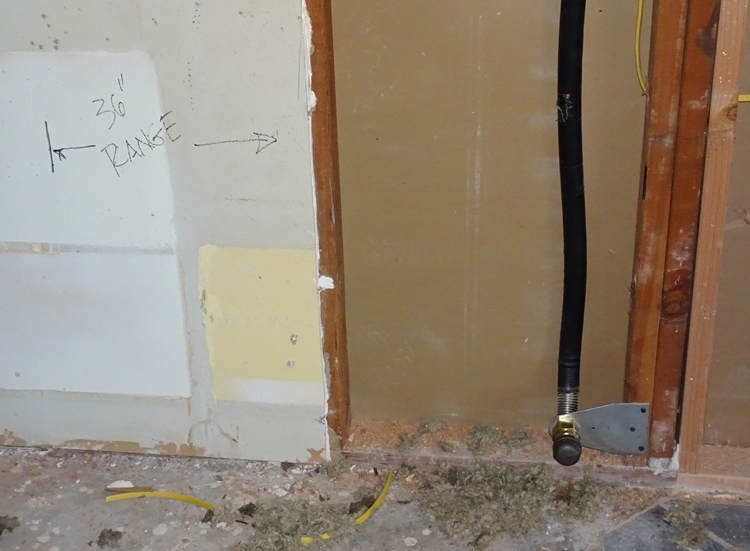 In the last post, I showed you one of the junction boxes for the wall washers on the vault wall. Here is shot showing all 4 – you can get an idea of the over-all scheme. 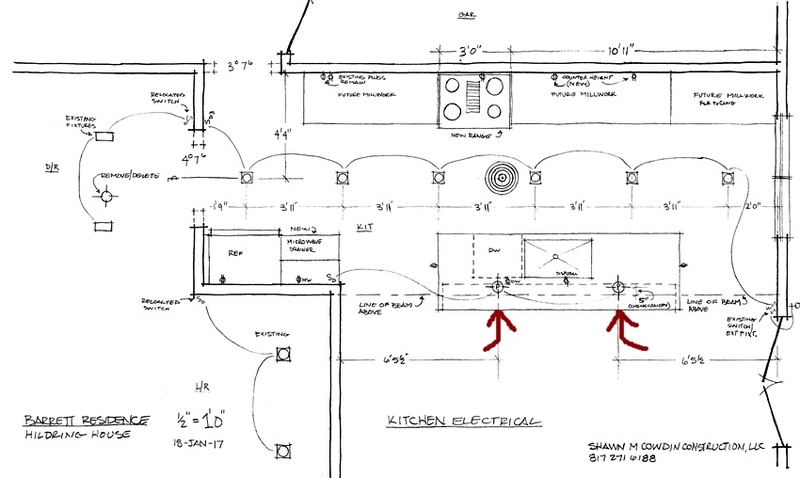 Looking at the electrical plan for the kitchen can orient you to the layout. Remember I said that this is a long galley, so your “triangle” is sort of smooshed, but we believe it will work quite well. 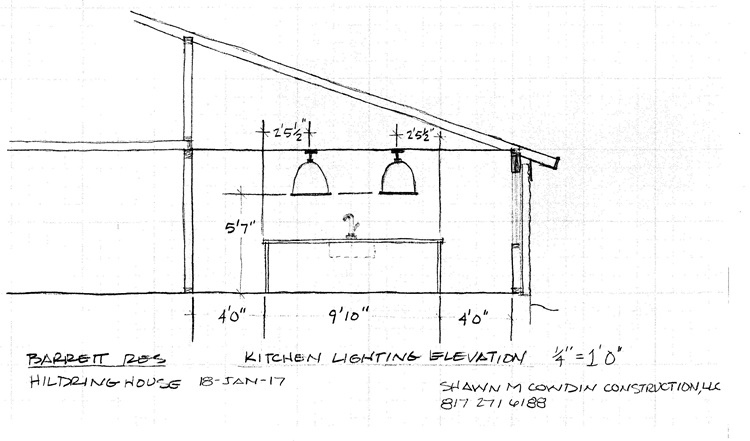 Having seen that, the next elevation will make more sense – it’s the fridge wall cabinetry. 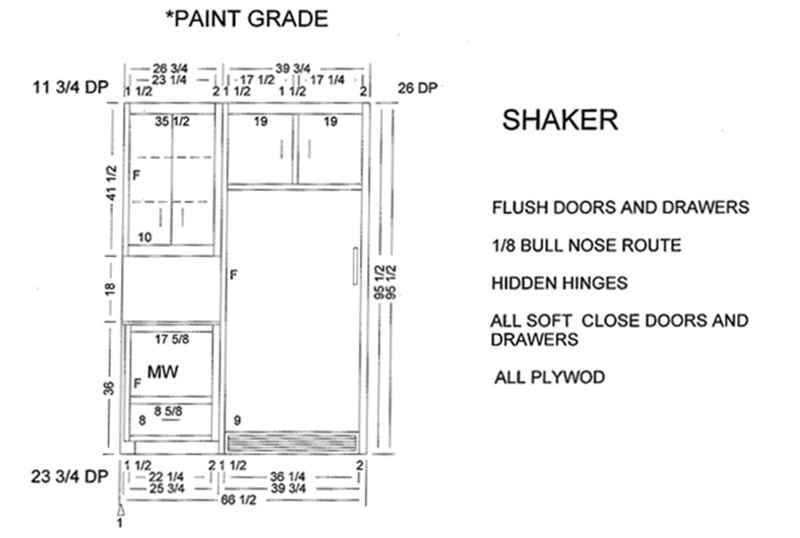 And, speaking of cabinetry, here are elevations for the island and the new laundry room cabinets. Of course, Debra has made some changes that aren’t reflected on these illustrations but you get the idea. It’s a little high for Shawn’s taste but we’ll just cover it with plantings, anyway, so no big deal. into the attic and down into the kitchen. And, SURPRISE! They were able to tee off of the line in the attic and run it to the fireplace! 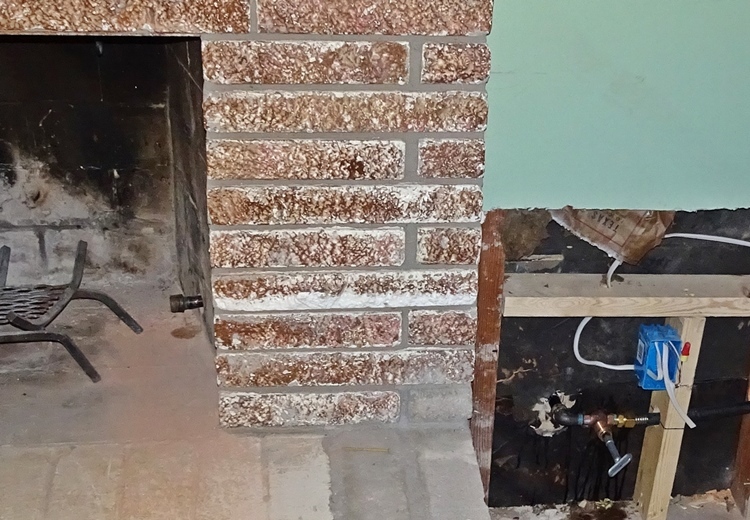 I see gas logs in our future. 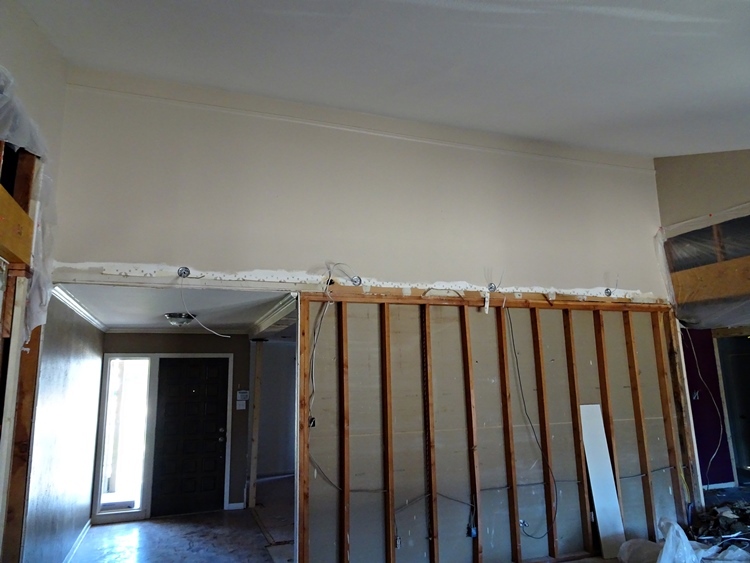 Drywall will be going up soon, so it’s time to make some paint decisions. 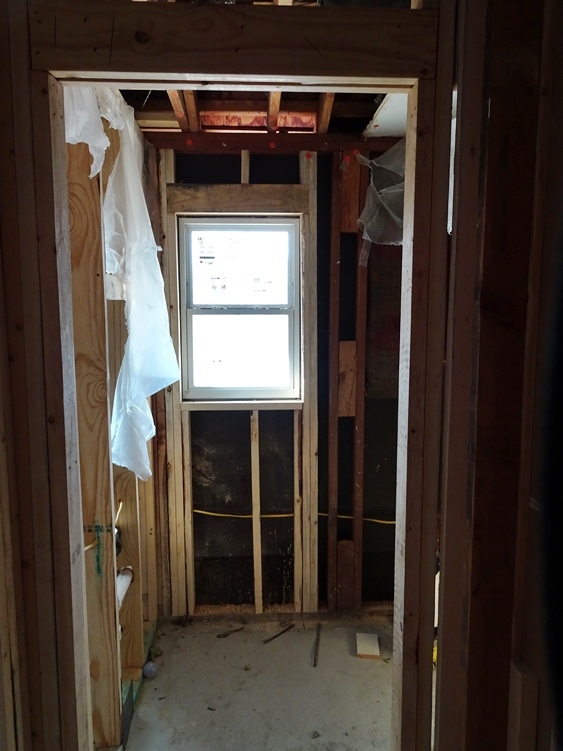 Debra has a special surprise for the wall leading into the new powder bath, opposite the door to the new laundry room, so I can’t talk about that – except to say that it’s pretty bold. 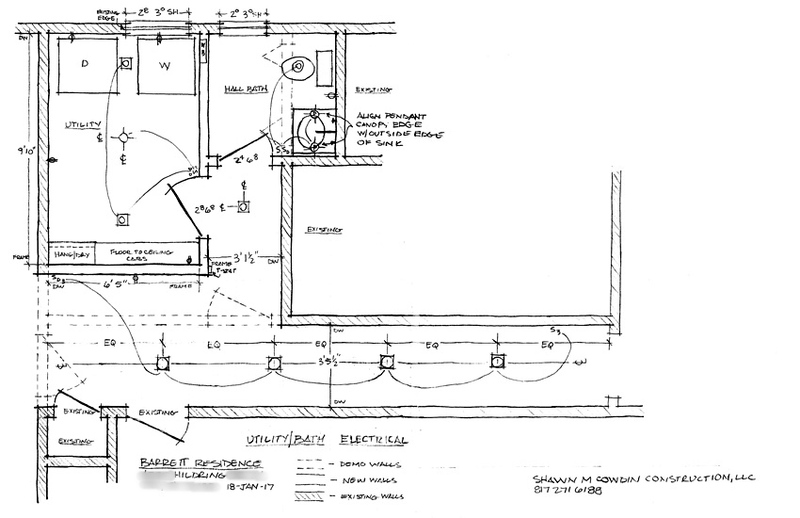 But I can show you some of the decision-making for the laundry room, itself. 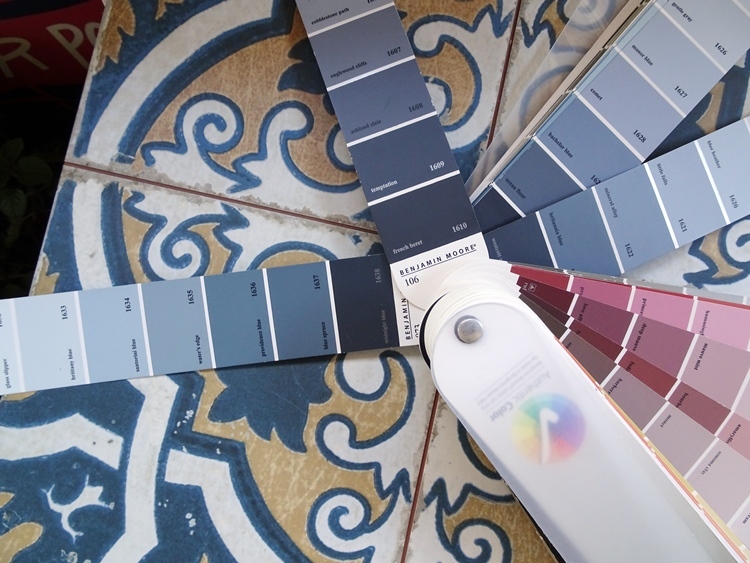 Obviously the tile is the focal point of the room, so the paint has to coordinate. Color books are wonderful things, don’t you agree? 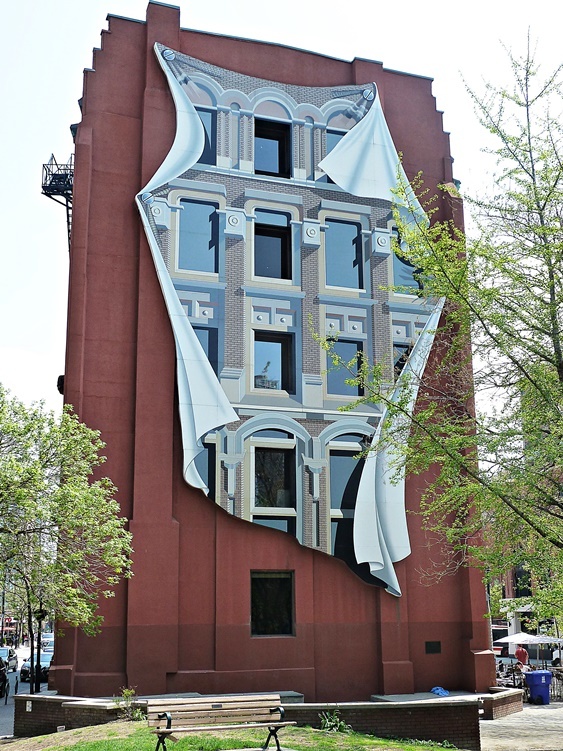 And speaking of paint brings me to the requisite second “pretty picture” of the post – back to Toronto for a spectacular Trompe L’Oeil mural. I don’t remember the purpose of the building. Really nice work, though. Hey, Curt – thanks! 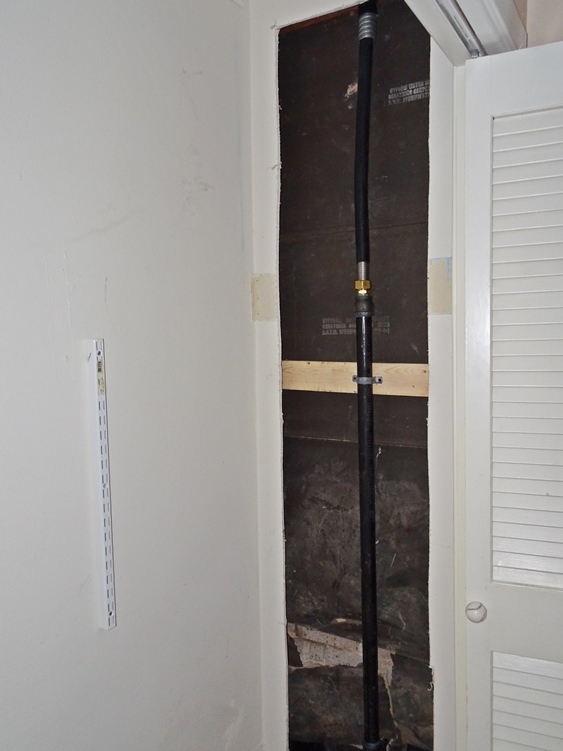 It is black pipe – it’s just covered with an insulation that makes it look like it’s not. 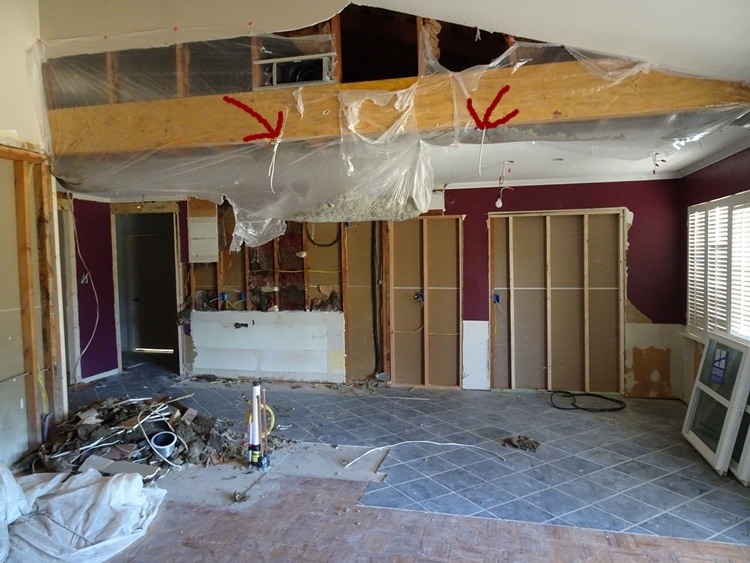 But a more general answer to your question is that it’s up to the local building authority what portions of the national building codes they adopt. 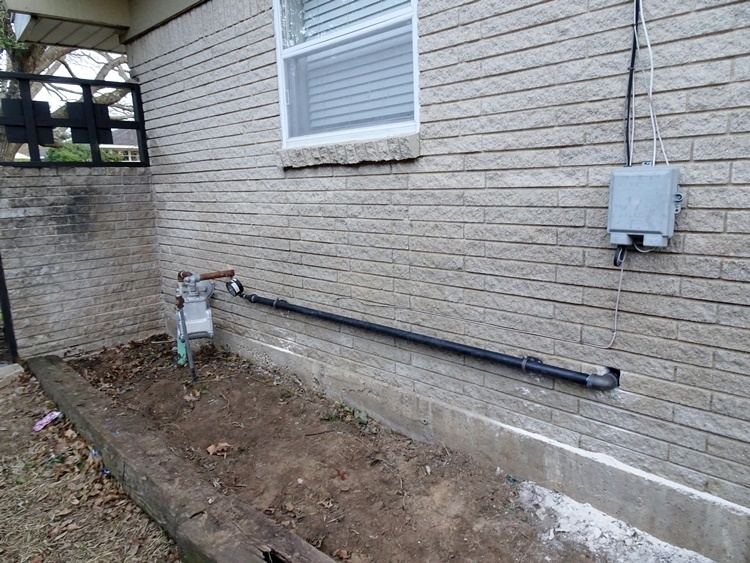 Most use them as baselines and sometimes augment them with additional safety measures.